Sold as a complete kit to convert 4 windows to full power. 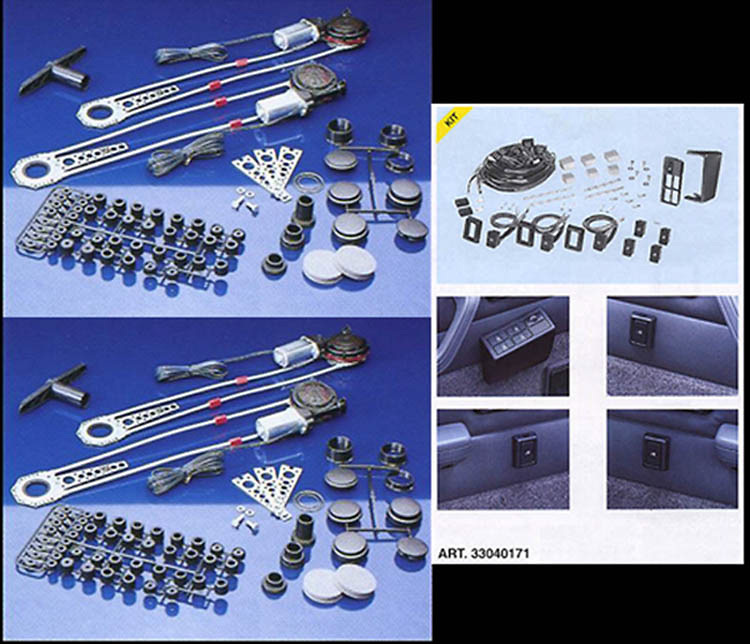 When purchasing the Deluxe Power 4 Door Window Kit with 7 Switches, consider the other items listed below. You can add all desired items from below at one time by clicking the Suggested Items Add Page link.